One of my favourite daily charities which cost absolutely NOTHING so if you’re short of cash but still want to make a real impact and difference this is the website to sign up to.You simply click the link each day and that click pays for food, shelter and veterinarian care for animals. There are ten great causes you can select as many as you like. I choose 6 of the 10 listed, for animals, hunger, veteran’s, literacy, rain forest and goodwill and click on it several times each day as these causes mean the most to me. It’s got lots of beautiful items to purchase too and you know any single thing you buy is going to the animals or the causes who need it most. If like me, you adore freshly delivered seasonal bouquets then you need to try Freddie’s Flowers, in fact have a FREE bouquet on me, simply click here and you’ll see why I love it so much. If you have a relative in long term hospice or a care home what could be nicer than getting a bouquet of seasonal blooms every week or month? or if you just schedule birthdays and anniversaries, it’s all done for you which gives you all the credit for minimal input. For loads more tools for the ideal life try the books, courses, radio, annual Hay House Summit and so many resources often for FREE from a host of wonderful authors presenters and awesome people who genuinely “walk their talk” and , like me, live their bliss. Created over 30 years ago by one of my mentors, Louise Hay, you’ll never be short of inspiration or developmental materials when you tap into Hay House. I discovered the People’s Energy as a great alternative to the rip off energy companies the UK is a saddles with. Using green energy sold me on this crowdfunding idea but to then have 75% of profits given back to the customers and working on an ethical sustainable level with energy professionals who are from the old fashioned method of “hike prices for shareholders profits” meant the best brains were being used for what I consider a fabulous opportunity for all British homes and businesses. It’s a no brainer to petition via email to ensure that corporations and governments know that we KNOW what they’re up to – expose is key to bringing about ethical change so I enjoy being part of Sum of Us to ensure my signature stands for fairness and justice for all. I came across Ty Bollinger in 2015 and his expose spanning over 100 years of research, hundreds of medical professionals in this truly global body of work. I myself was thwarted from sharing my own first hand experience of fighting cancer by Trading Standards and the national Committee of Advertising Practice, at my free seminar sharing how I avoid the “inevitable” breast cancer I was told, by medical professionals I would get as a result of my mother dying of it. I’ve studied the subject extensively as a expert in hormonal, metaphysics and epi-genetics as well as as a Pink Ribbon Breast Cancer Instructor so I know the truth of what we are “told” and what the facts are biologically . I’d urge anyone who’s fearful of or who has experienced mutated cancer cells to watch the extensive research above. 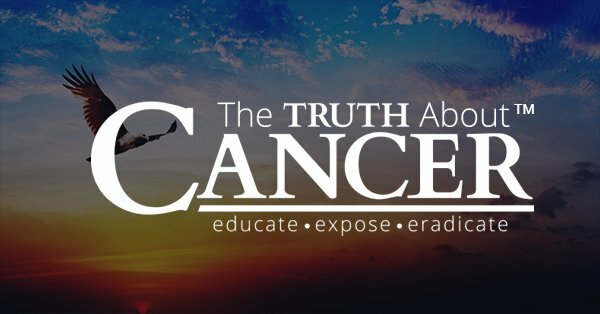 Usually Ty give the entire series for free around April but even to purchase would be a worthy investment to share with your family , friends, school or any groups for mass re-education on why cancer should never be feared.